I may be Hainanese but there is something about Cantonese dim-sum that just spells home. How can you not love those bite-sized portions of food in enduring steamer baskets piled up high, on carts that navigate sharp corners around hungry patrons? I can never let lo mai kai pass me by, be it in dim sum restaurants, coffeeshops or hawker centres. Filling and sticky with savoury goodness! 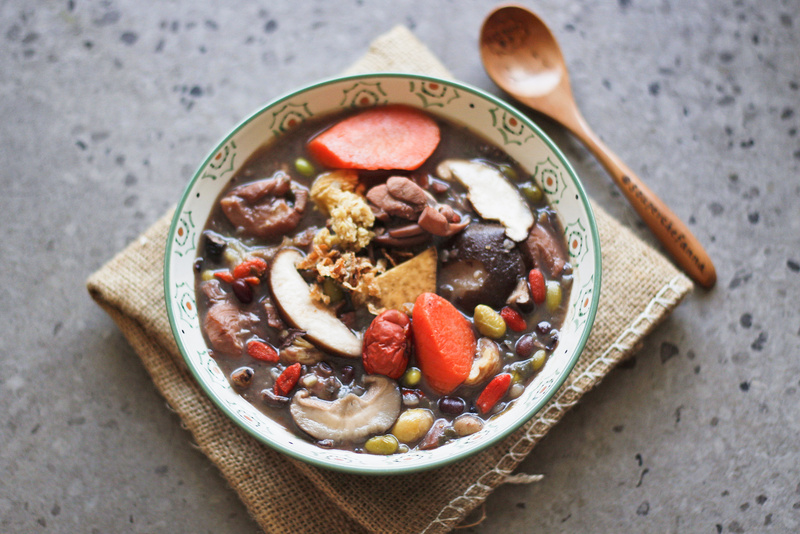 Look at the Chinese herbs that go into this soup creation! This National Day, I’m playing homage to one of my favourite breakfast dishes by recreating it in a rice stew, made healthier with wild black berry rice instead of glutinuous rice! 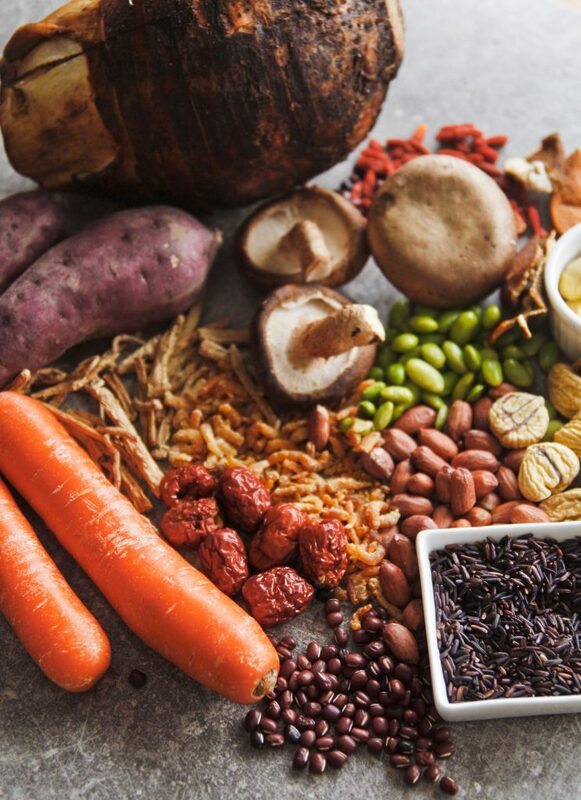 I love how the black rice gives the stew a nutty flavour, accented by fragrant mushrooms, goji berries, red dates and dried shrimps, and even a subtle citrusy element with the tangerine peel. Last year’s SouperChef Special, Chicken Soup for the SG Soul, was a big hit, especially amongst those who love all things herbal and nutritious. 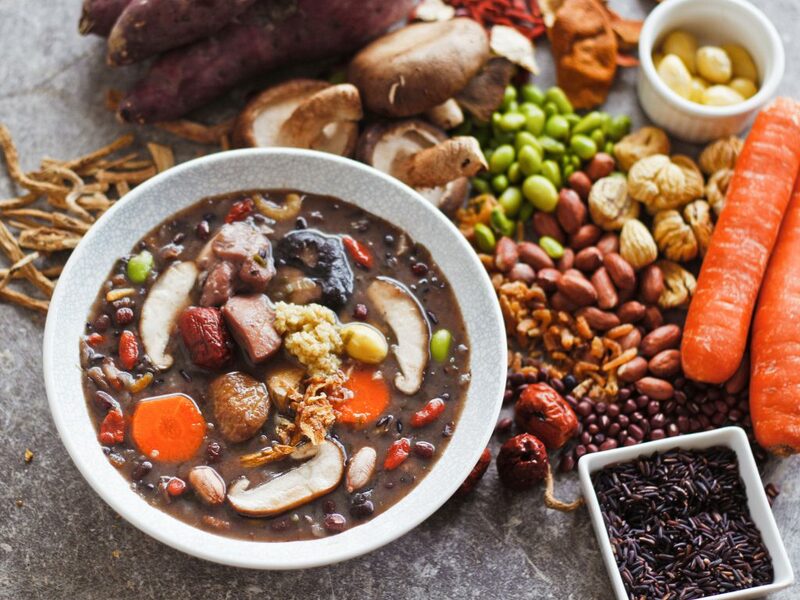 I hear you so you’ll be happy to taste and feel the goodness of quintessential Chinese herbs, dangshen and danggui, in this year’s National Day creation as well! Bite into tender chicken pieces as you enjoy this bold porridge infused with the flavours of all things good! How I love this soup! Enjoy this Chicken Wild Rice ‘Lo Mai Kai’!